The Chateau is a beautiful space for wellness offering yoga, pilates, meditation, connection with like-minded others, and soon to come, day retreats, wellness workshops, holistic therapies, raw food/ vegan lunch clubs and more! Free memberships for limited period. 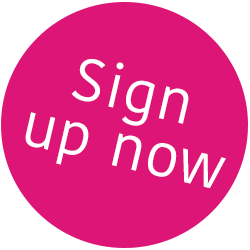 Sign up on the pink strip above. Currently offering life-enhancing Body Mindfulness Meditation most Wednesdays at 8 pm. Yoga now and coming up. See Classes to book. And Inspiring Events too! Pilates to come. The Chateau is a beautiful space for wellness currently offering life enhancing Body Mindfulness Meditation, connection with like-minded others, a range of inspiring life enhancing events and soon to come, yoga and pilates, day retreats, wellness workshops, holistic therapies, raw food/ vegan lunch clubs and more! See Classes to book. And Inspiring Events too! The Chateau is more than just a space for connection with like minded others; more than what will be a wellness members club , it is a sustained experience of nourishment of body, mind and soul. Having worked with hundreds if not thousands of clients over the last 15 years, and having showcased her work on BBC1 (The One Show), ITV’s answer to Oprah, and on international TV as far afield as South Korea, she has learnt not only what clients want but also what really changes lives for the better. We also plan to host raw and vegan lunch and supper clubs to support your inner wellness and enable you to create connections with like-minded others. Some of our weekends and evenings will be devoted to Day and Evening Retreats, Wellness Workshops, Healing and Holistic Treatments and so much more. There also plans to bring Karen’s Dance of the Heart, a Dance Meditation practice (seen by millions), which Karen has taught on BBC1 and on South Korean TV, to an after school community of local Mothers and their school age children so they can have fun together and enhance their connection. No steps to learn so it’s great for dancers and non dancers alike. As part of our mission to support the local community, once our paid membership programme is up and running, 100% of joining fees paid are going to support Barnes local charities. 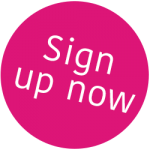 Join by signing up on the pink strip at the top of the page. Bring your welcome email to class.